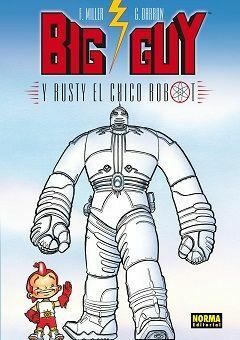 Based on the comic book by Frank Miller and Geof Darrow, the BGY-11 robot, a.k.a. Big Guy, is created to defend America. However, no one knows it’s just a man in a suit, as the project to create a fully functioning robot was unsuccessful. After years as a famed protector of the red, white, and blue, he is decommissioned when Rusty, an actual combat robot with artificial intelligence is produced. Rusty, while possessing the most advanced technology, is designed in the form of a child. Thus, a major problem arises. With no experience at all, Rusty is easily defeated his first time out. As a result, Big Guy is recalled back into action in order to help out the child robot and teach him about being a hero, yet as they work together, he too learns lessons that only a child can teach.